This is delicious! Please do not let the color brown stop you from making this dish. Because we all know that brown food of any kind (well OK, chocolate cake does not fit in this group) does not photograph well. 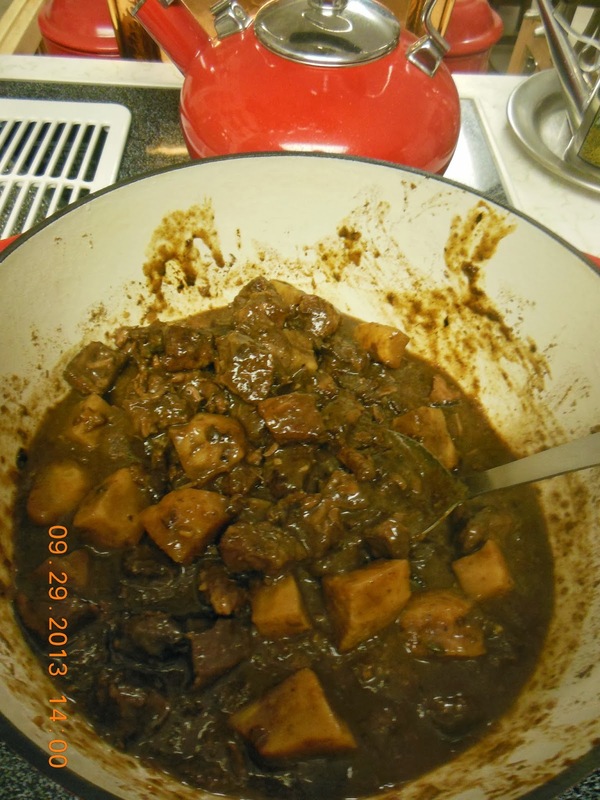 Beef Stew with Red Wine, Prunes and Celery Root. Simple ingredients for a delicious stew. Add meat and onion to a large bowl, mix well. Add flour and toss to coat well. Heat 1 T of the fat in a dutch oven, and brown 1/2 the meat mixture. When brown, remove from the pan, set aside and repeat with remaining meat. Add beef stock to the pan, bring to a boil. Scrape the pan to loosen the brown bits. Add all remaining ingredients except the prunes and the celery root. Bring to a boil, reduce heat, simmer 1 hour. 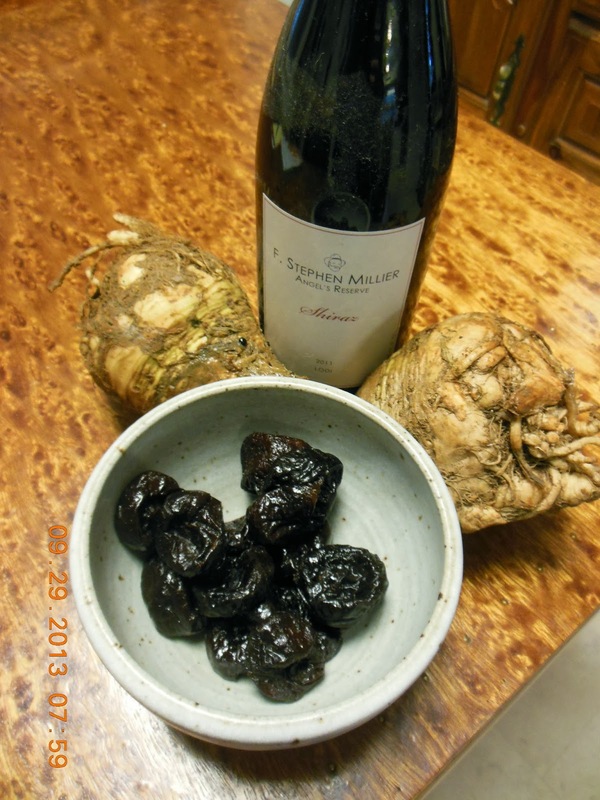 Remove cover, add prunes and celery root. 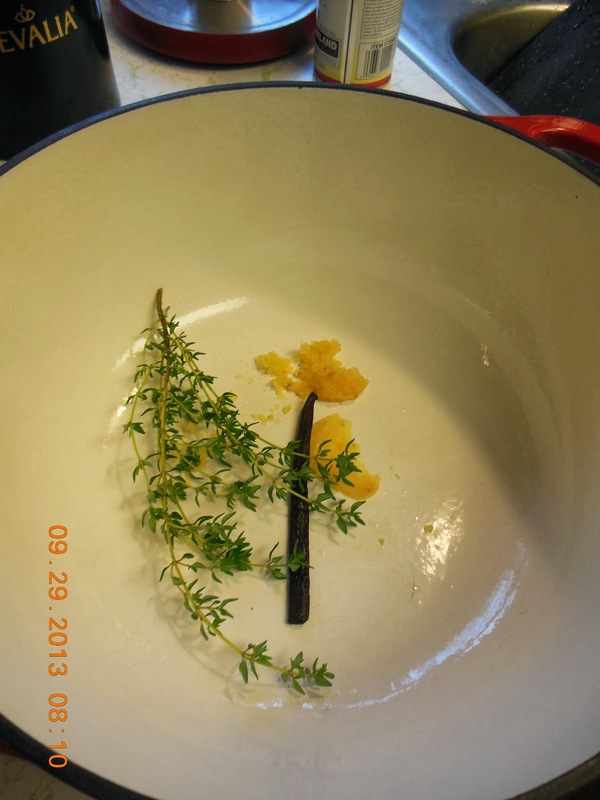 Let simmer uncovered until celery root is tender and juices have reduced and thickened, about an hour, stirring once or twice. You may need to adjust heat to keep from scorching. 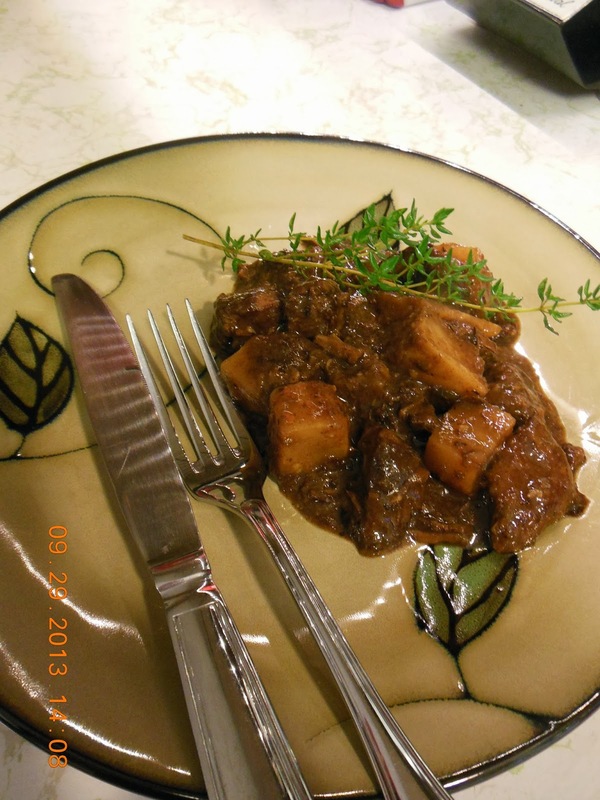 Rich and delicious, Beef Stew with Red Wine, Prunes, and Celery Root. You will want to serve crusty bread with this, the delicious gravy demands it! 2 comments beef, Recipe rating Oh Yes! I am so intrigued by this recipe. It has so many elements I would never think to put together, yet it sounds divine. I'm going to cook this soon. Thank you for trying it out and posting about it! Wow! there are alot of flavors going on in this soup and i love it. so rich with the wine and prunes!